Savona is a town and major seaport in the northern Italian region of Liguria. It lies at the Riviera di Ponente on the Mediterranean Sea not so far from Genoa in Italy. The Port of Savona was once the heart of Italy’s steel and ship-building industry. Today Savona is an important embarkation point for Costa Cruises, an Italian cruise line offering exciting Mediterranean itineraries with a typical Italian flair and hospitality. Their state-of-the-art cruise ships are filled with everything you need for a wonderful cruise vacation. There are several excellent hotels and bed & breakfast properties in Savona located within close distance of the cruise terminal and harbour. Savona Train Station is close by, as well as the A10 motorway. 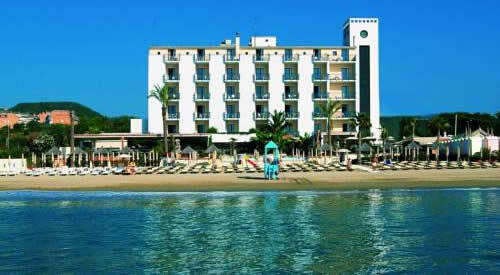 Some accommodations are located right on the seafront, a few steps from the beach. 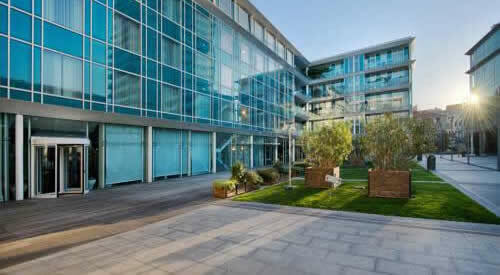 These properties are a few km’s from the city centre and terminal, ferry harbour. The city of Genoa and Cristoforo Colombo Airport are approx. 45 km away from the port. The modern cruise ship terminal, Palacroisière, is only a short walk from the city centre. However you have to cross a pedestrianised bridge, which is not luggage or wheelchair friendly. For cruise passengers embark in Savona, taking a taxi is recommended. Cruise ships anchor right next to the marina. 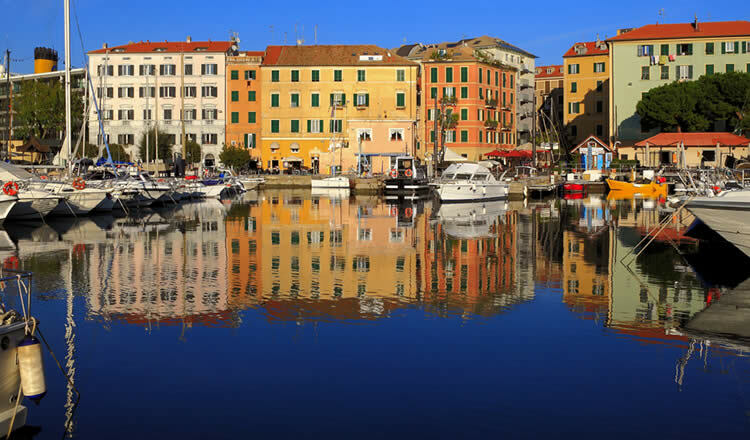 From the Port of Savona ferries depart to destinations on Corsica including Calvi, Bastia and Ile Rousse. Corsica Ferries is the principal ferry operator to Corsica. 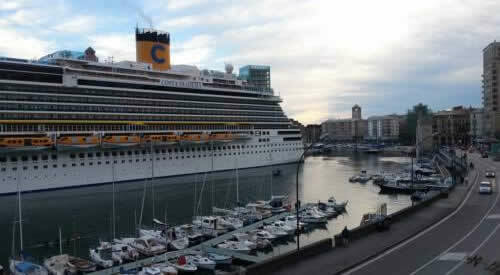 Located in Savona’s harbour and port area, within walking distance of the cruise terminal. Highly rated self catering apartment within close distance of the cruise passenger port, beach and train station. Seafront accommodation offering a private beach, sea-views. 5 min from town centre. Vessels dock at the Palacroisière cruise passenger terminal, located within walking distance of the city center. The main cruiseline operating from the port is Costa Cruises, offering a great range of cruises departing from Savona to various destinations across the Mediterranean Sea. Popular ports of call include the Italian ports of Naples (Amalfi), Palermo Sicily, Capri and Civitavecchia (Roma). The symbol of Savona is the Leon Pancaldo Tower, also known as the Quarda Tower and La Torretta, a stately tower from 14th century. This tower located at the entrance of the old dock or harbour is the remaining part of the old city walls facing the sea. Savona boasts plenty of fine beaches, nice restaurants, bars and a good selection of shops. The city is overlooked by the impressive Priamar Fortress located just outside the port area. The fortress was built in the 16th century and is one of the main attractions of Savona. It is home to an art gallery and some museums. Other highlights of the city include the baroque Cathedral of Our Lady of Assumption or La Cattedrale dell’Assunta, situated in the old town and the Cappella Sistina (Sistine Chapel), located adjacent to the Cathedral. Art lovers will enjoy The Pinacoteca Civica Savona, displaying an important collection of religious paintings, including a Madonna and child by Taddeo di Bartolo. The war memorial Rintocchi e Memorie at Piazza Mameli chimes a bell twenty-one times at 6pm every day in memory of those killed in World War I.